INTRODUCTION The consumption of fossil fuels has increased during the 21st century because of the growth of the global population and the automobile industry. This has led to high levels of depletion of non-renewable fossil fuels (Payormhorm et al. 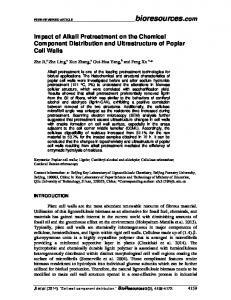 2013; Wang et al. 2014). In addition, a continuous use of these fuels as energy source has resulted in the environmental pollution by increasing the concentration of carbon dioxide (CO2) in the atmosphere (Wang et al. 2012; Sudibyo et al. 2017a). Therefore, there is an urgent need for the development of alternative renewable and environment friendly alternative energy sources (Sunarno et al. 2016). 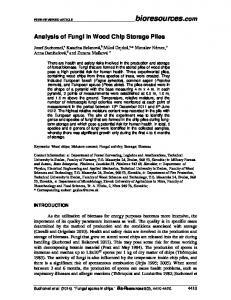 Lignocellulosic biomass appears to be a potential renewable source of energy. Fuels derived from biomass can be produced in a CO2 neutral system (Rezaei et al. 2014). One of the most abundant sources of biomass in Indonesia, which is an agricultural country, is palm empty fruit bunch (EFB) (Bahri et al. 2012; Djuned et al. 2014). This type of biomass has a very competitive price because it is produced as a solid waste from the palm oil industry. 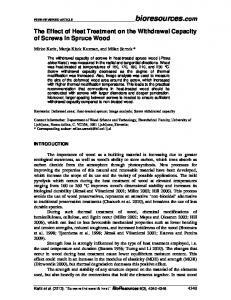 EFB contains 59.7% cellulose, 22.1% hemicellulose, and 18.1% lignin. These compounds can be converted into bio-oil through pyrolysis (Abdullah and Gerhauser 2008; Pradana and Budiman 2015). Sunarno et al. (2017). “Kinetic cracking of bio-oil,” BioResources 13(1), 1917-1929. Bio-oils are a complex mixture of water (15 to 30%) and various oxygencontaining compounds (28 to 40%), such as hydroxylketones, hydroxyaldehydes, esters, furans, sugars, phenols, and carboxylic acid. Because of their oxygen-rich composition, bio-oils present low heating values, chemical instability, and immiscibility with hydrocarbon fuels, high viscosity, and corrosiveness (Hew et al. 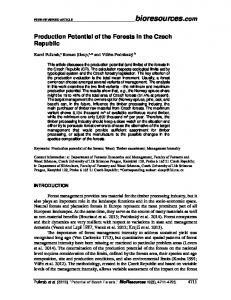 2010; Mortensen et al. 2011). As a result, improving their quality is required. This can be achieved by reducing the amount of the oxygenated compounds, which involves various processes, such as catalytic cracking (Saad et al. 2015; Sunarno et al. 2017). Several studies on catalytic cracking of bio-oil using silica-alumina and ZSM-5 catalysts have been done in fixed-bed reactors. Adjaye and Bakhshi (1995) investigated the catalytic cracking of bio-oil from 330 to 410 °C and obtained an oil yield of 13.2%. Zhu et al. 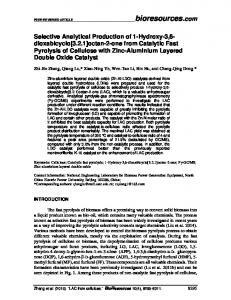 (2013) studied catalytic cracking using ZSM-5 as a catalyst from 500 to 600 °C and obtained an oil yield of 36%. In another study, Graça et al. (2009) used a mixture of bio-oil and gas oil as the raw materials for catalytic cracking at 535 °C and obtained an oil yield of 19.6%. However, these studies merely investigated the processing conditions of bio-oil catalytic cracking. One of the most important aspects in the catalytic cracking of bio-oil is the understanding of its kinetic properties. This is critical to design and simulate the reactor, as well as to predict the reaction behaviours (Mufrodi et al. 2014; Pu et al. 2015). Because of its complexity, it is difficult to describe the kinetics of bio-oil catalytic cracking at the molecular level (Wicakso et al. 2017). The formulation of lumped kinetics is usually utilized to determine the cracking kinetics of petroleum hydrocarbons (Meier et al. 2015; Dewajani et al. 2016). Most cracking reactions of hydrocarbon follow the first order reaction kinetics (Sedighi et al. 2013; Rahimi and Karimzadeh 2015). 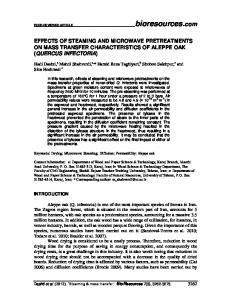 Therefore, the aim of this paper was to study the kinetics of bio-oil cracking with a silica-alumina catalyst using a continuous a fixed-bed reactor. 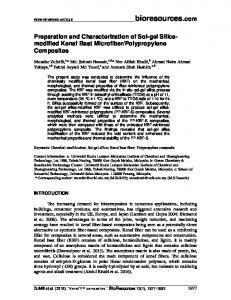 EXPERIMENTAL Materials Bio-oil, which was the raw material used in this study, was produced by the pyrolysis of oil palm EFB (PTPN V Sei Galuh, Riau, Indonesia) in a fixed-bed reactor at 500 °C. The pyrolysis product consisted of solid bio-char, liquid bio-oil, and noncondensable gases. The liquid bio-oil (the top phase fraction and the aqueous product) was separated by decantation. The top phase fraction and aqueous product contained 3% and 36% water, respectively. The top phase fraction of the bio-oil was used as a raw material for catalytic cracking. The properties of the raw material were as follows: density of 0.997 g/mL, viscosity of 17.9 centipoises (cP), and a heating value of 27.6 MJ/kg. The raw material was analyzed using GC-MS and was composed of 4.02% acetone, 5.24% acetic acid, 2.69% gasoline (C5-C11), 6.53% kerosene (C12-C18), 23.89% phenol, and 57.54% oxygenated organic compounds. The chromatogram of the analysis result is shown in Fig. 1. Catalyst Preparation The silica-alumina catalyst was obtained from PT. Pertamina (Balongan, Indonesia). The powder-form catalyst was converted into a granular form to facilitate the cracking process. 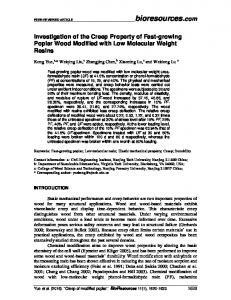 Granulation was done manually with the addition of the clay (5 wt.%) Sunarno et al. (2017). “Kinetic cracking of bio-oil,” BioResources 13(1), 1917-1929.
to form pellets that had the same size (0.4 cm x 0.6 cm). Furthermore, the catalyst was activated in a furnace at 500 °C for 2 h. The catalyst had a SiO2/Al2O3 ratio of 1.167, surface area of 240.553 m2/g, and average pore diameter of 3.3 x 10-6 mm. Catalytic Cracking Reaction The experiments were performed under atmospheric pressure from 450 to 600 °C in a tubular reactor packed with a silica-alumina catalyst bed that had a length of 1 to 4 cm. The scheme of the experimental equipment is presented in Fig. 2. Fig. 2. Schematic diagram of the cracking reaction experiment Sunarno et al. (2017). “Kinetic cracking of bio-oil,” BioResources 13(1), 1917-1929.
where CA is the concentration of gravimetric bio-oil, expressed as mass per mass of the total product, vz is the superficial velocity (cm/min), B is the bulk density of the catalyst (g/cm3), and k is the reaction rate constant (cm3/g cat·min). Sunarno et al. (2017). “Kinetic cracking of bio-oil,” BioResources 13(1), 1917-1929. The CA, CB, and CC terms are the concentrations (wt.%) of gravimetric bio-oil, liquid hydrocarbons, and gas and coke, respectively. The rate constants (kAB, kAC, kBC) were optimized by using a non-linear program (Matlab R2008a, version 7.6.0.324, USA). Kinetic Model 3 Model 3 was based on kinetic Model 2, and the liquid hydrocarbons were classified as kerosene and gasoline. With this model, bio-oil can be cracked into gas and coke, kerosene, and gasoline. Kerosene can subsequently be converted into gasoline and gas and coke, whereas gasoline can also be cracked into gas and coke. The reaction mechanism of kinetic Model 3 is represented in Fig. 4. The four-lump model is described by the following rate equations which are based on Eq. 4. The CA, CD, CC, and CE quantities are the concentrations (wt.%) of the gravimetric biooil, kerosene, gas and coke, and gasoline, respectively. The rate of reaction constants kAD, kAC, kDC, kDE, and kEC were directly stated in the form of an Arrhenius equation as shown by Eq. 12. The symbols A, R, T, and E represent the frequency factor, gas constant (8.314 J/mol.K), absolute temperature (K), and activation energy (J/mol) respectively. Thus, the calculation to find the constants would focus on finding the Arrhenius constants of each reaction constants above (Sudibyo et al. 2017b). To do so, the optimization was conducted by minimizing the sum of squares of errors (SSE) using an iterative method. The SSE was defined by Eq. 13. 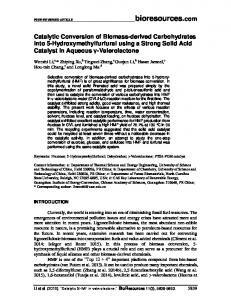 RESULTS AND DISCUSSION Effect of the Temperature and Catalyst Bed Lengthon the Yield The catalytic cracking of bio-oil was performed in a continuous fixed-bed reactor with silica-alumina catalyst from 450 to 600 °C with a catalyst bed length of 1 to 4 cm. The products from the catalytic cracking process consist of oil, gases, and coke. Product of oil contained bio-oil (phenol, oxygenate compounds) and hydrocarbons. Figure 5 shows the yields of the bio-oil, liquid hydrocarbons, and gas & coke at different temperatures and catalyst bed lengthes. The optimum process condition was achieved under 500 oC reaction temperature and 1 cm of the length of the catalyst. At the other conditions, the yield of gas and coke formation was greater. It preferred to have high yield of hydrocarbon formation and low yield of gas and coke formation because the purpose of increasing the calorific value of oil product was realized by converting it into high calorific value hydrocarbon. (c) (d) Fig. 8. Experimental (points) and simulated (lines) data of Model 3 for bio-oil cracking with a silicaalumina catalyst at (a) 450 °C, (b) 500 °C, (c) 550 °C, and (d) 600 °C Sunarno et al. (2017). “Kinetic cracking of bio-oil,” BioResources 13(1), 1917-1929. The kinetics parameters obtained from Model 3 are listed in Table 3. With an increasing operating temperature, the value of the reaction rate constants tended to increase. The E values of the four-lump model were calculated using Arrhenius’s equation. The results presented in Table 3 show that the E for bio-oil cracking into kerosene was lower than for bio-oil cracking into gasoline, which indicated that bio-oil cracking into kerosene formation is easier than gasoline formation. Hence, Model 3 can be employed to describe the phenomena of bio-oil, kerosene, and gasoline cracking. CONCLUSIONS 1. The temperature and catalyst bed length affected the product yield and kinetics of biooil catalytic cracking. 2. With an increase in the catalyst bed length and temperature, the oil yield decreased, while the gas yield increased. The reaction rate constants of bio-oil cracking were calculated by using kinetic Model 1, which satisfied the Arrhenius’s equation. 3. Kinetic Models 2 and 3 can be employed to determine the dominant reaction step in bio-oil catalytic cracking. 4. Overall, the developed Models 1, 2, and 3 were found to be suitable for determining the kinetics of continuous bio-oil catalytic cracking. ACKNOWLEDGMENTS The authors are grateful for the financial support of General Directorate of High Education of Indonesia through the research grant of MP3EI and CDSR (Centre for Development of Sustainable Region) SHEERA USAID for providing the partial Sunarno et al. (2017). “Kinetic cracking of bio-oil,” BioResources 13(1), 1917-1929.
experimental facility. The authors also appreciate the help of Hanifrahmawan Sudibyo during the manuscript preparation. 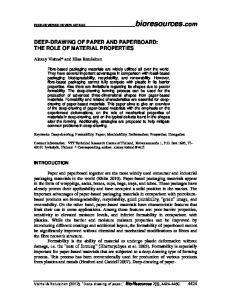 REFERENCES CITED Abdullah, N., and Gerhauser, H. (2008). “Bio-oil derived from empty fruit bunches,” Fuel 87(12), 2606-2613. 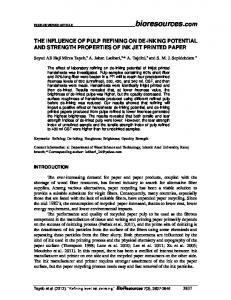 DOI: 10.1016/j.fuel.2008.02.011 Adjaye, J. D., and Bakhshi, N. N. (1995). “Production of hydrocarbons by catalytic upgrading of fast pyrolysis bio-oil. Part II: Comparative catalyst performance and reaction pathways,” Fuel Process Technol. 45(3),185-202. 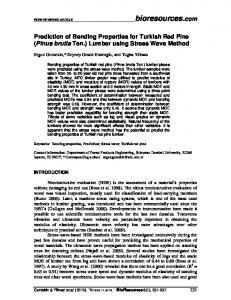 DOI: 10.1016/03783820(95)00040-E Bahri, S., Sunarno, Muhdarina, and Anugra, R. D. (2012). “Catalytic pyrolysis using catalyst nickel-natural zeolite (Ni/NZA) on conversion of biomass to bio-oil,” in:Proceedings of the 2011 International Conference and Utility Exhibition on Power and Energy Systems Issue and Prospects for Asia, Pattaya City, Thailand,pp.1-4. Djuned, F. M., Asad, M., Mohamad Ibrahim, M. H., and Wan Daud, W. R. (2014). 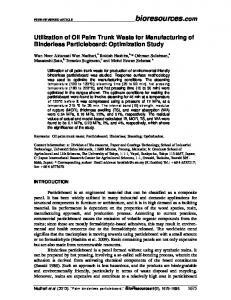 “Synthesis and characterization of cellulose acetate from TCF oil palm empty fruit bunch pulp,”BioResources 9(3), 4710-472. 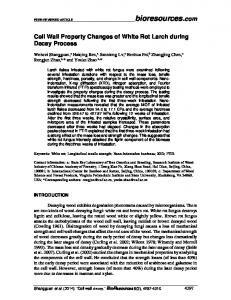 DOI: 10.15376/biores.9.3.4710-4721 Dewajani, H., Rochmadi, Purwono, S., and Budiman, A. (2016). “Kinetic study of catalytic cracking of Indonesian nyamplung oils (Calophyllum inophyllum) over ZSM-5 catalyst,” ARPN J. Eng. Appl. Sci. 11(8), 5221-5226. Graça, I., Ribeiro, F. R., Cerqueira, H. S., Lam, P. L., and de Almeida, M. B. B. (2009). 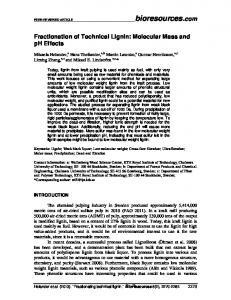 “Catalytic cracking of mixtures of model bio-oil compounds and gasoil,” Appl. Catal. B- Environ. 90(3-4), 556-563. 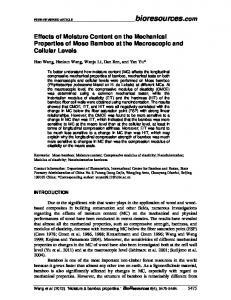 DOI: 10.1016/j.apcatb.2009.04.010 Hew, K. L., Tamidi, A. M., Yusup, S., Lee, K. T., and Ahmad, M. M. (2010). 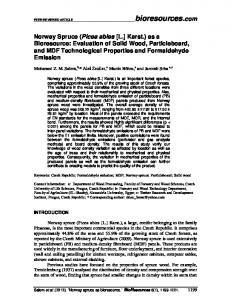 “Catalytic cracking of bio-oil to organic liquid product (OLP),” Bioresource Technol. 101(22), 8855-8858. 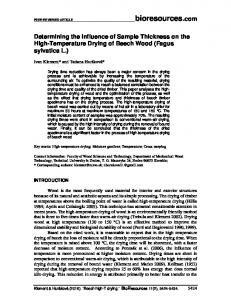 DOI: 10.1016/j.biortech.2010.05.036 Meier, H. F., Wiggers, V. R., Zonta, G. R., Scharf, D. R., Simionatto, E. L., and Ender, L. (2015). “A kinetic model for thermal cracking of waste cooking oil based on chemical lumps,” Fuel 144, 50-59.DOI: 10.1016/j.fuel.2014.12.020 Mortensen, P. M., Grunwaldt, J.-D., Jensen, P. A., Knudsen, K. G., and Jensen, A. D. (2011). 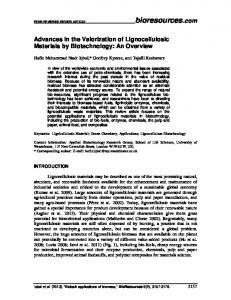 “A review of catalytic upgrading of bio-oil to engine fuels,”Appl. Catal. AGen. 407(1-2), 1-19. 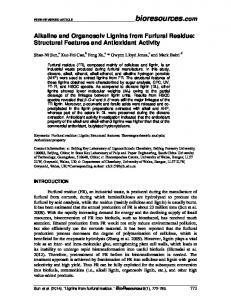 DOI: 10.1016/j.apcata.2011.08.046 Mufrodi, Z., Rochmadi, Sutijan, and Budiman, A. (2014). “Synthesis acetylation of glycerol using batch reactor and continuous reactive distillation column,” Eng. J. 18(2),29-39. 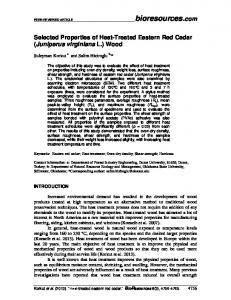 DOI: 10.4186/ej.2014.18.2.29 Ooi, Y. S., Zakaria, R., Mohamed, A. R., and Bhatia, S. (2004). “Catalytic cracking of used palm oil and palm oil fatty acids mixture for the production of liquid fuel: Kinetic modeling,” Energ. Fuel. 18(5), 1555-1561. 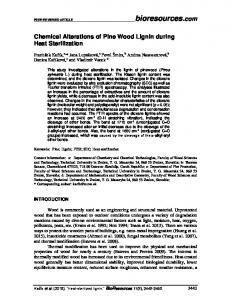 DOI: 10.1021/ef049948v Payormhorm, J., Kangvansaichol, K., Reubroycharoen, P., Kuchonthara, P., and Hinchiranan, N. (2013). 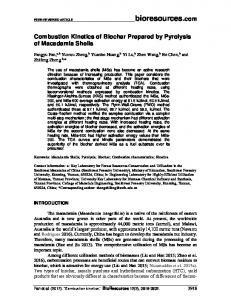 “Pt/Al2O-catalytic deoxygenation for upgrading of Leucaena leucocephala-pyrolysis oil,” Bioresource Technol. 139, 128-135. 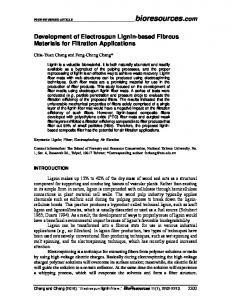 DOI: 10.1016/j.biortech.2013.04.023 Pradana, Y. S., and Budiman, A. (2015). “Bio-syngas derived from Indonesian oil palm empty fruit bunch (EFB) using middle-scale gasification,” Journal of Engineering Science and Technology 10(8), 1-8.